Rugged. Gnarly. Chunky. Fast. Grueling. Rewarding. Breathtaking. All of these words have been used to describe the terrain that exists on Mt Lemmon, Tucson’s outdoor, mountain playground in the desert! With over 20 miles of single track, and an elevation loss of over 6500 feet, Mt Lemmon riding is easily on par with famous trails such as the Whole Enchilada in Moab, UT. 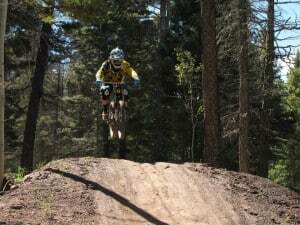 Bring your 6” travel bike and your knobby tires, these trails will challenge your riding skills and sense of adventure! While the scorching heat of the summer sears the valley below, Mt Lemmon offers a reprieve with an almost 30 degree drop in temperature. Pick and choose the sections of trail you want to ride, or conquer the whole thing with the famous “Lemmon Drop”. Either way, you are in for an experience you will want to come back for again and again! The Santa Catalina Mountains provide a beautiful backdrop of jagged rocks and steep hills, and some of the most fun singletrack Tucson has to offer. If you’re looking for fast, toboggan like turns, stunning desert landscape, and a playground full of boulders and B-lines, this is the place to ride! Route finding can be challenging as the trails are not well marked, and there are infinite “locals only” trails that are worth checking out (if you can find them!). 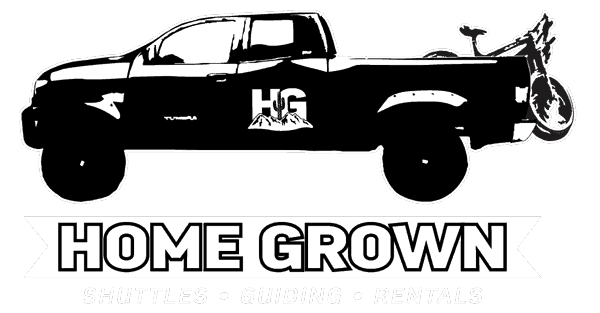 Let Home Grown show you the best of the best, and put together a ride that will exceed all your expectations! A MUST ride in Tucson. Smack dab in the middle of the city, this area is accessible via downtown Tucson. Prepare to see more saguaros than anywhere else in the world: (Truly, as they are native only to the Sonoran Desert) Chunky, rocky, rolling hills with plenty of tech for those who want it. Here you will find endless opportunities for exploration with miles and miles of singletrack available. Signage is scarce, and B-lines abound, so hire a guide and enjoy the ride! 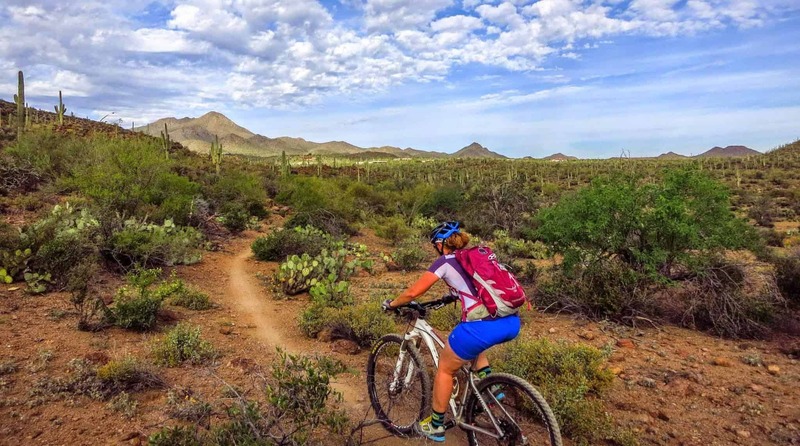 The AZT stretches 800 miles across the entire length of Arizona to connect deserts, mountains, forests, canyons, wilderness, history, communities and people. The route provides unparalleled opportunity for epic riding, starting at the US/Mexico border, descending from one “sky island” mountain range to another, gaining and losing thousands of feet in elevation. The trail does cross through wilderness areas, so it is important to hire a guide or have a reroute plan to avoid riding through wilderness. The terrain varies greatly on this wide stretch of trail, and has many opportunities for beginner or expert mountain bikers. Logistics can also be challenging, so call Home Grown today to schedule a shuttle or fully guided tour.